While studying at the University of Minnesota, Rosemary was awarded a scholarship to study at Trinity College in Dublin, Ireland, and received a fellowship to work with Arkkitehtitoimisto Annikki Nurminen, an architecture firm in Finland. After returning to her native Minnesota, she practiced with small and large architecture firms before forming McMonigal Architects in 1984. Since then, Rosemary’s firm has completed a number of award winning residential, commercial, and community projects. She is actively engaged in exploring new approaches to healthy living, energy efficient design, and sustainable construction. As principal of McMonigal Architects, Rosemary provides design leadership and project management. Rosemary has lectured internationally for the American Institute of Architects (AIA), the Ontario Association of Architects, Energy Efficient Building Association, and a variety of other professional and community organizations. She also taught for five years in the Design and Housing Department at the University of Minnesota. She is active with the AIA, both nationally and locally, and is a founding member and past chair of the AIA Small Project Forum national committee. With AIA Minnesota, she has been active in a variety of committees and as Board director. She currently serves as Architectural Advisor on the state Capitol Area Architectural Planning Board. Rosemary and her husband have lived in the home they designed and built in Roseville since 1997. Nestled in a wooded area overlooking a marsh and wildlife preserve, they love the location. Although admittedly, removing fallen tree limbs, escorting mice out of the dryer duct, or cleaning up after wild turkeys on the roof deck, is not the first thing she wants to do after a full days’ work. Phil most recently joined McMonigal in 2012, but his connection with Rosemary dates back to 1995 when he was ‘on loan’ from another firm. 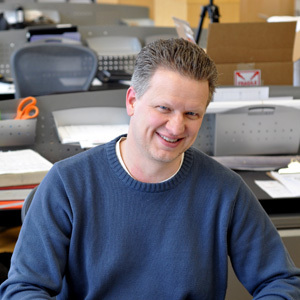 He has worked with numerous firms in Minneapolis since 1992, including Bentz Thompson Rietow, Locus Architecture, Inc., and Cuningham Group. His past experience includes numerous residential and public projects- churches, libraries, and schools. At McMonigal, Phil welcomes the opportunity to focus on a variety of projects, including residential, commercial, and institutional. He thoroughly enjoys working directly with clients, trudging through mud and snow for field work, and brainstorming design ideas with our team. His skills cover the range from long term master planning to construction documents and administration. Phil lives in Fridley with his wife, son, daughter, and dog. When he is not sketching something, he keeps busy with volunteer work at his church and as a chauffeur for his two active teenagers. He enjoys getting away “up north” with family in the summer, and makes a concerted effort to landscape his yard. Nature always seems to have other ideas. 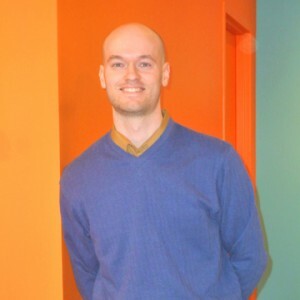 Kyle joined McMonigal in 2014, previously working at several offices in the Twin Cities including David Heide Design Studio and Larson Brenner Architects. 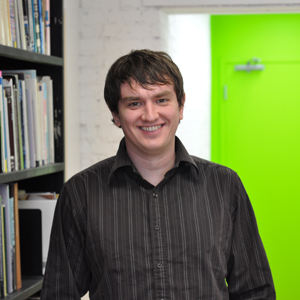 Having temporarily helped McMonigal on projects in 2010, he knew he’d be a great fit to return to their exciting collaborative environment. Joining in the firm’s fundamental beliefs, Kyle believes good design can make a difference in our lives. He enjoys the wide range of work McMonigal specializes in, including residential, commercial, and community projects. His skills cover many stages of the design process from conception to completion. He enjoys working through a project’s initial concept to the final detail and often borrows ideas learned from renovating his 125 year-old house. This labor of love has allowed him to become a more thoughtful designer. Kyle is licensed since 2017. He lives in St. Paul with his wife and two daughters. He spends much of his free time trying to keep up with his wonderful kids. Nick has been part of The McMonigal Team since 2005, performing all manners of CAD wizardry and technical brilliance over the years. If it weren’t for Nick, McMonigal would still be hunched over drafting tables, building models out of cardboard. Nick lives in St. Paul, or as he calls it, “the right side of the Mississippi.” He enjoys the sights, sounds, and historic buildings of Minnesota’s capital city, while still carving out time in his busy schedule to volunteer with the Midtown Greenway Coalition. When he shuts down and leaves the office, Nick seems to find a third gear as an accomplished member of the Minneapolis Bike Polo club. Nick isn’t just an avid cyclist who loves all outdoor activity.